You can get the Volk out of the Old Country, but you can't get the Old Country out of the Volk. Until the Berlin Wall fell in 1989, Germany was rarely unified and seldom stable, leading many citizens to give themselves das Boot to America, bringing their traditions aboard. Immigration peaked in the 1850s (approx. 1 million) and 1880s (approx. 1.5 million), with Erie receiving an influx of several thousand. Wolfgang Erhart was Erie's first recorded German settler, setting up shop at the corner of 10th and State streets in 1830. His successors poured into the area north and east of him, with Parade Street becoming the eventual nexus of Little Germany. Other prominent settlements included Warfel Farm (encompassing East Avenue to Elm Street between East 18th and East 28th streets) and Marvintown (at the junction of Routes 8 and 97), just down the road from St. Nick's Grove, which hosts the 20th Annual German Heritage Festival this Labor Day weekend. Get a jump start on Oktoberfest (which officially takes place Sept. 17 through Oct. 3 in Munich) with ethnic food, drink, dress, and dance – thanks to DANK (Deutsch-Amerikanisch National Kongress) Chapter 71, Lake Erie Fanfare, and rulers like Lou (Crown Prince Ludwig I, for whose wedding the first Oktoberfest was celebrated in 1810). Enjoy traditional German lager styles such as Maerzen (i.e. "March beers," which are brewed and stored six months in anticipation of Oktoberfest) and bocks (malty brews from Einbeck – due to the silliness of dialects it was often misheard as "ein Bock" or "a goat"). Food offerings include Bratwurst, Knackwurst, strudels, noodles (Spaetzle), and a cheese redolent of the petting zoo (Limburger). Results are in and Germany is not your Vaterland? 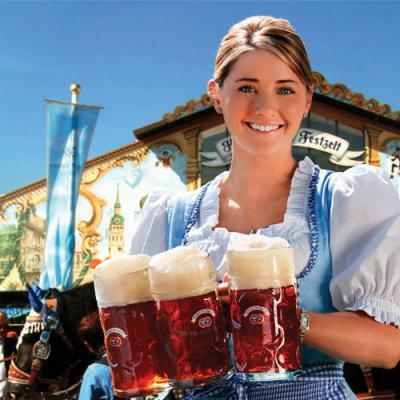 Deutschland needn't be in your DNA to enjoy yourself – more universal festival fare such as hot dogs, kettle corn, and ice cream will also be available. Whether you're "Aus und Proud" (i.e. dancing in your dirndl/living la vida lederhosen to the live polka bands) or an Auslander (i.e., non-native), this one's for du. Matt Swanseger can be reached at mswanseger@eriereader.com. You can follow him on Twitter @SwazzySwagga.